Calls are growing among Democrats for President Donald Trump’s senior policy adviser Stephen Miller to testify before Congress over the White House’s hardline immigration agenda–much of which Miller is believed to have masterminded. On Friday, Trump confirmed that his administration had been considering a proposal seeking to send detained migrants to sanctuary cities, which impose limits on cooperation with federal bodies enforcing immigration law. “In California, the governor wants to have a lot of people coming in, refugees coming in, a lot of sanctuary cities, so we’ll give them to the sanctuary cities maybe to take care of if it’s that the way we want it,” Trump said during an event at the White House. The president’s comments appeared to lend credence to a report from The Washington Post asserting that the proposal had been viewed as a way to “punish Democrats,” by pushing detainees into their districts, citing one of two Homeland Security whistleblowers who reported the policy proposal to Congress, as well as several other unnamed DHS officials. According to the Post, the driving force behind the controversial policy that DHS officials felt compelled to report, was none other than Miller, who the newspaper said played a “key role” in the plan, which was reportedly first discussed last year. While it is common for Cabinet officials to be asked to testify before Congress on oversight matters, demands for a presidential adviser, such as Miller, to appear before Congressmembers are not. It is also likely that Miller would be able to evade the scrutiny of Congress by either claiming executive privilege independently orby having Trump deny lawmakers access to his adviser, citing the constitutional separation of powers between the president and Congress. While the U.S. Constitution does not make mention of the power of executive privilege, the Supreme Court has ruled that the privilege extended to the president and other executive branch officials can be a constitutional exercise of their powers under the separation of powers model. In the past, presidents on both sides of the aisle have refused to give congressional committees air time with their executive aides citing the constitutional separation of powers, with President George W. Bush, in 2007, invoking executive privilege in response to congressional subpoenas several times, including in response to a subpoena seeking testimony from his former presidential counsel Harriet Miers. If Miller is asked to appear before Congress, it is unclear whether he or Trump will seek to block such a hearing. In his interview with CNN, Nadler acknowledged that it is “likely” Miller would try to claim executive privilege. But, Miller said, such a move would be a “misuse” of that right. “Because he seems to be making the decisions,” Nadler said, “not the Cabinet secretaries who come and go,” who would not benefit from the same privileges as members of the executive branch. 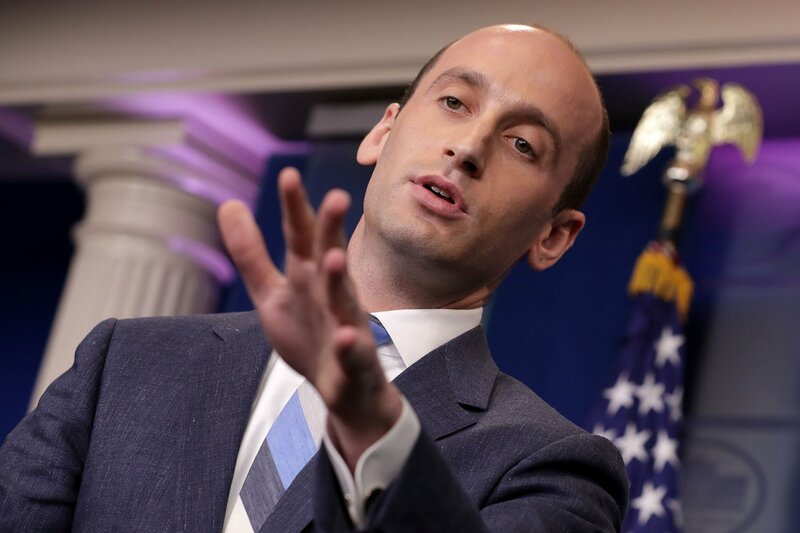 As the alleged mastermind behind some of the Trump administration’s most stringent immigration policies, including its travel ban affecting Muslim-majority countries, it is clear that if Miller were to appear before Congressmembers, he will have much to answer to.